Shop with vendors from around the county and see their latest products. Learn new techniques for stamping, scrapping, card making, and paper crafting. 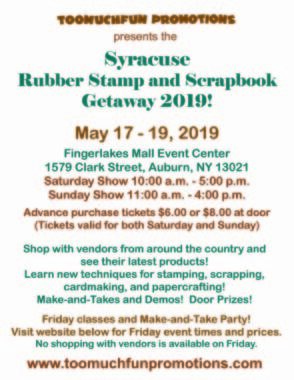 Make & takes plus DOOR PRIZES!! Click here for more event dates.